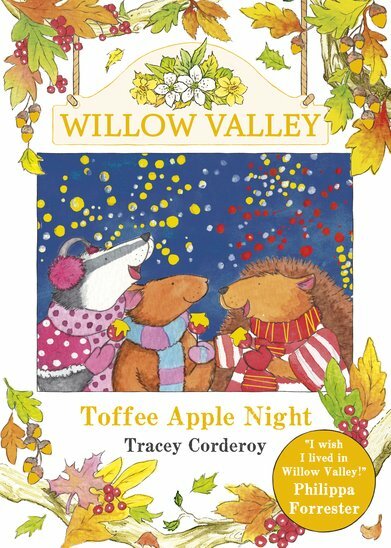 An atmospheric autumn story especially for bonfire night, from a contemporary new series with the classic charm of Brambly Hedge. Filled with beautiful illustrations, this story is perfect for sharing or for children who are just starting to read alone. It’s the night of the firefly festival in Willow Valley, and Riley the mouse, Starla the badger and Horatio the hedgehog are very excited. It’s going to be lots of fun, with lots to see and plenty of yummy toffee apples to eat! I love this book! I was begging my mum to buy it. I was reading it all day and all night. My mum says go to sleep! But…I say NO!